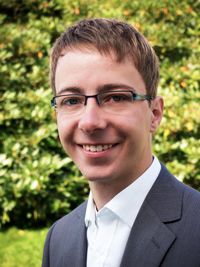 Hi, my name is Christoph Bach, I am 23 years old and I am currently studying Business Information Systems at the Paderborn University. While not directly related to my field of study, I however have several years of experience in developing websites, webapps and -platforms. More precisely, I am co-owner of a little webdesign agency that I founded back in 2009 besides school and studies. As a result, I am not only able to code websites and apps, but I also consider myself having an eye for good design, typography and usability. The aim of this website is to present my résumé as an HTML5 document in order to show my coding abilities. Currently, I'm working on a system for peer instructions for large groups called PINGO. Find out more here. My tasks at this internship included redesigning the landing page and webapp as well as creating some new assets for the mobile apps. I also coded my designs in HTML and CSS. I was a tutor in the mentoring program and my main task was to give presentations of how to write scientific papers or how to give a presentation. Furthermore, the job included organizing the mentoring program and acting as a reference person to the freshmen. My main task is to design and code webpages for clients. This includes creating layouts in Photoshop, frontend development and building templates for content management systems such as Contao, Kirby or WordPress. Jazz- and blues guitar, co-organizer of the foosball league at Paderborn University (which I programmed a webapp for).